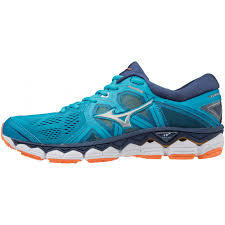 Categories: Mizuno, Running Shoes, Training. 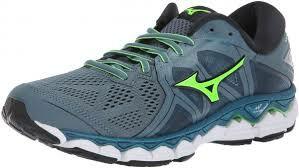 Tags: Mizuno, Neutral Cushion, Wave Sky. THE SKY’S THE LIMIT. 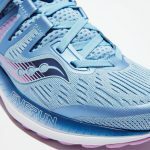 Maximum cushioning meets maximum comfort in the new Wave Sky 2, built for neutral runners. 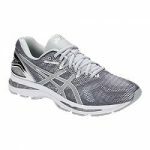 A full length U4icX midsole works in harmony with new cloudwave technology for a plush and lively ride. Newest features include AeroHug technology, providing an adaptive fit in motion with premium fit and feel.